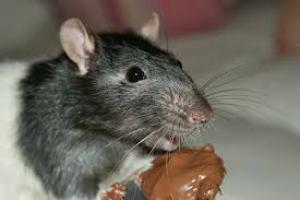 Rats are omnivores, and can such eat a variety of foods. They are easy to feed well as long as we are mindful of a few little rules. The base of a rats diet ideally should be a good quality pellet. Compete & balanced pelleted foods avoid the problem of selective feeding of mixes. A good quality pellet food should have a protein content of around 16% and fat content of 4-5%. 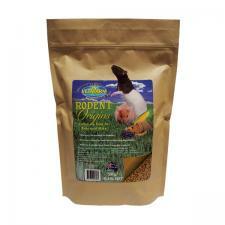 They will look like rabbit pellets or chicken pellets but are formulated for rodents. It is better to buy small amounts more often to keep these pellets fresh. 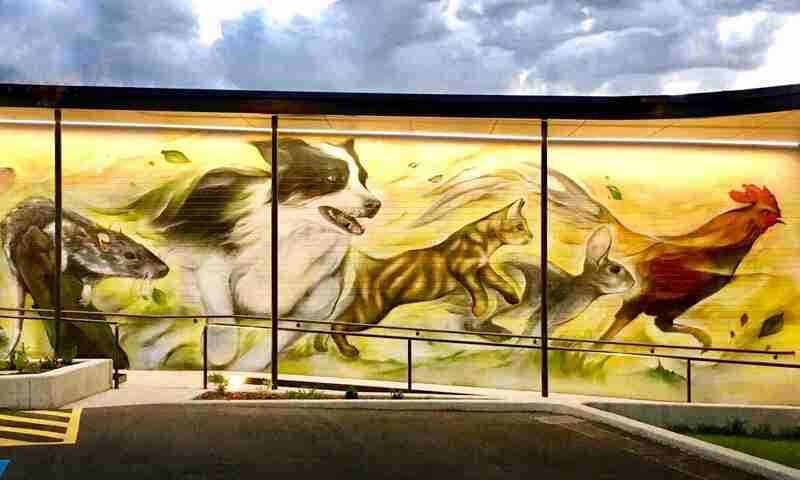 We recommend an Australian manufacturer, Vetafarm Rodent Origins. Rat and mice mixes are much easier to source. These are often a mixture of seeds, hay and what resembles dog biscuits; make sure it is clean and not full of straw like rubbish, over processed and highly coloured pellets etc. These diets are not balanced and the rats will often pick out their favourites (often sunflower seeds). Too many seeds can be very fatty and can contribute to nutritional deficiencies. These seed mixes do spoil quite quickly and this can be fatal. Mixes that are old, dusty, mouldy or have an unusual odour should never be used. The mix that killed my (Dr Claire’s) rats was not mouldy, did not smell and was not dusty. I suspect however that the mix had been in the shop for some time and was not stored well. Rat mixes should be stored just like cat or dog food. In a sealed air tight container, use the mix until the container is empty, then clean and dry the container well before refilling with fresh mix. My advice is to use as little of these seed based mixes as possible and opt for a pellet when you can get it. Whereas pellet and seed mix diets can cause obesity if not fed in measured quantities, fruit and vegetables can be offered more freely. Rats will, and should eat a variety of fruit and vegetables. Try apples, pears, strawberrys, oranges, Asian greens, spinach, grapes, capsicum, green beans, peas, tomato, melon, various herbs, green cabbage. A small amount of treats can be fed daily. These treats can be seeds, nuts, cooked pasta and cooked rice. Bread or crackers and breakfast cereals also make great treats. Small amounts of cooked lean meat can be given as a treat. 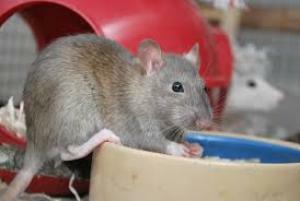 It is important to understand that lots of rats prefer to eat at night and will stockpile or hide food to eat later. This means it is important to regularly check your rats hidey holes and remove food that may be spoiling. If you offer treats that may spoil quickly like cheese or cooked meat perhaps offer them when the rat is outside their enclosure and discourage the rat from hiding the food. Foods to avoid are those that may be toxic or those which might pose a choking hazard. Peanut butter and other pastes can coat mouths and potentially be a choking hazard. Avoid, rhubarb, green potatoes, potato peels, raw potato and raw sweet potato. The mould on blue cheese is toxic to rodents. I suspect it is best to avoid all mouldy cheese like brie and camembert. Avocado is poisonous to birds and is quite fatty, I would advise to avoid feeding this. Avoid liquorice and lollies. They contain too much sugar, they are often quite sticky which is unpleasant for the rat and liquorice is thought to be poisonous. Salamis, fritz and other preserved meats are probably best avoided. The Lillas family have kindly helped us out by describing their daily activities. “Usually at night because that’s when they are up and about and do most of their eating, we cut up a bowl of salad. This usually consists of baby spinach leaves, snow peas, small baby corn, apple, and carrots together with some nuts (which we vary) normally almonds or cashews. I will always save leftover cooked peas from our meal as well as a treat!! Special treats for our girls are baked beans – they love them. Our girls will snack on little treats like chocolate, contrary to popular opinion, chocolate in small amounts is fine for rats (ask Dr Claire! ), sweet and savoury biscuits and cold milky tea!! (in which, for some reason, they like to bath). In the mornings, we give them a small plate of good quality mango yoghurt to share and that plate gets taken out after an hour to so just to ensure they don’t run it through their cage during play time. They also like to finish their breakfast with a small corner of toast and vegemite.